This was a virtually impossible task. Put together a list of 50 must-read science fiction books and don’t make anyone angry. Science fiction is the most discussed and argued over genre in literature but it actually goes way beyond books and into film, TV, video games and even toys. Here are the criteria I used. 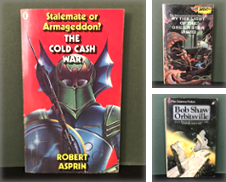 One book per author, so that was hard on the big three of science fiction – Robert Heinlein, Isaac Asimov and Arthur C Clarke, who each have multiple classic titles to their name. Attempt to show as many sub-genres of science fiction and plot themes as possible. Include early stories that influenced the genre as a whole and launched popular themes, even if those books appear a bit dated today. I wanted to show the unbelievable breadth of this galactic-sized genre and, of course, I failed because this is just the tip of the spaceberg – there are probably 500 essential science fiction books, not 50. 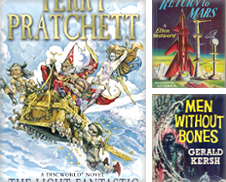 The War of the Worlds is on the list, a famous example of invasion literature, but I could easily have used The Time Machine. For Ray Bradbury, there’s The Illustrated Man but I could have used Fahrenheit 451 or The Martian Chronicles. The list includes hard and soft science fiction. Hard science fiction features great attention to detail in the quantitative sciences, while soft riffs on the social sciences. You’ll also find space opera with its heroes and heroines on distant planets; cyberpunk, loved by nerds in goggles everywhere; time travel – a simple concept that’s been around since Mark Twain’s day; military science fiction where soldiers drive the narrative; dystopian fiction where society has usually gone awry; superhuman stories where humans develop new or greater skills (and that usually means trouble) and the always cheery apocalyptic fiction sub-genre (where we could be battling to avoid the end of Earth or struggling to survive after a catastrophe). There are many recurrent powerful themes such as machine and human relationships, aliens and human relationships, biological and ecological matters, and paranormal activities. You are spoiled for choice – this list includes novellas, short story collections, a graphic novel and books from published 1864 to 2011. For further reading recommendations, brush up on the Hugo and Nebula Awards - the winners and the shortlisted titles - and also the books published by Tor (who really know this genre, and fantasy, inside out), as well as Locus Magazine and the science fiction tags on LibraryThing.com. Famous adventure tale that practically launched the genre in 1864. The Martians come to England. A famous example of invasion literature from 1898. Set in 2540, this novel imagines a radically different future. So good, it’s taught in schools. Earth must be evacuated because another planet is on a collision course. A superhuman novel where supernormal abilities lead to conflict. Social sci-fi from the era of Soviet growth where a nasty political system defines the plot. Written shortly after Hiroshima, this post-apocalyptic novel imagines the rebuilding process. 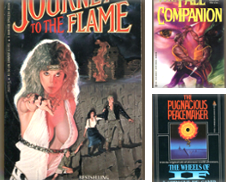 The original novel in a pioneering series. An immense plot that I cannot sum up in a sentence. 18 masterful and highly imaginative short stories from one of the genre's masters. First Hugo winner. A science fiction detective novel featuring telepathy. Clever invasion novel from the 1950s where aliens introduce devices to disrupt Earth's economy. A world-building novel on a planet with variable surface gravity. Insect-like locals, human explorers. Following a nuclear war, religious sects create an anti-technology society. Set way in the future in a fundamentalist society. Telepathy makes people different. A virus kills off all strains of grasses & causes a famine. England descends into anarchy. Fine example of military science fiction from the late 1950s. A war against bugs. Douglas Adams described it as a “tour de force” – a novel set amid a Martian invasion of Earth. Frank imagines the effects of nuclear war on a small town in Florida. Post-apocalyptic science fiction where monks are trying to preserve vital books and humanity. 20th century Charlie Johns wakes in a future filled with overpopulation, bigotry and no gender. Humans study a planet while the planet studies them. A novel about miscommunication. The ice-caps melt and the world floods. Set in 2145, the protagonist has adapted rather well. An ecological-themed novel set in the far future with fantasy elements. Children’s fiction, with fantasy elements, where a government scientist goes missing. This novel has sold 12 million copies so can’t be bad. Spice before the Spice Girls. Set in 1999, a novel about over-population. Basis for the movie, Soylent Green. A bounty hunter tracks down escaped androids in a post-apocalyptic future. Le Guin is prolific and a must-read for everyone. This book details an imagined universe. A time travel story where a man goes from 1970 back to AD 28 to meet Jesus. From the golden era of the early 1970s. Set in 2850 in a radically different universe. A classic set in the 22nd century, an alien starship enters the solar system. Roadside Picnic is a classic alien-encounter story from Russia’s most important sci-fi writers. A novel following the lives of four women in parallel worlds. Feminist sci-fi. Cyborg (where man & machine combine) science fiction as humans attempt to colonize Mars. Apocalyptic novel where a virus kills off most people and it is nightmarish for survivors. A radio series. Adams introduced a huge and much-needed dose of humor into the genre. Imagines the Humanx Commonwealth where humans exist alongside aliens. Violent futuristic sci-fi where the Earth is threatened by an ant-like species. Pure space opera. First in the Culture series, this novel features a sprawling space war between species. Quaddies are genetically modified humans used as slaves. They become obsolete and face a grim end. A complicated story-within-a-story novel with humanity spread across the galaxy. First in a readable trilogy imagining the colonization of Mars. Biopunk short story collection – a spin-off from cyberpunk featuring biotechnology. 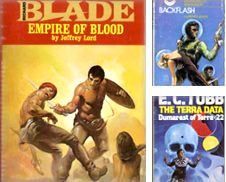 Historical science fiction adored by Geeks for its technology themes. A novel based on cosmetic surgery for teenagers. Modern science fiction on a modern issue. Scalzi's debut saw humans fighting aliens Heinlein-style except old people pull the trigger. Modern cyberpunk in post-9/11 era. Teenage hackers battle Homeland Security over civil rights. Post-modern plot in a graphic novel. A sci-fi writer & his girlfriend are the last humans on Earth. Set in a small town on a distant planet, this 2011 novel depicts interaction between aliens & humans. Let the indignant outcry of our fellow nerds commence - what did we miss?